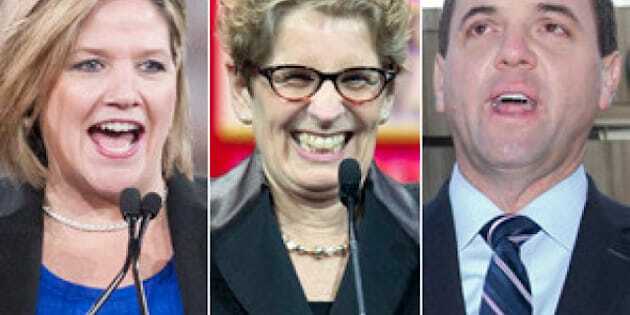 TORONTO - Ontario's minority Liberal government will be keeping a close eye on how the New Democrats react to today's provincial budget. The Liberals have gone out of their way to secure NDP support for the budget, knowing the Progressive Conservatives vowed to vote against it even without seeing the fiscal plan. The Canadian Press has learned the budget will reduce the number of large companies eligible for an exemption from the employer health tax, one of the NDP's key demands. Finance Minister Charles Sousa also plans to delay tax breaks for big businesses set to take effect in 2015, and has written to federal Finance Minister Jim Flaherty to request a three-year extension. Sousa has already announced the budget will set a target for a 15 per cent average cut in auto insurance premiums, but will not mandate an across-the-board reduction in rates as the NDP requested. The budget will also include 295 million dollars to cut youth unemployment, 185 million dollars to reduce wait times for homecare, and 100 million dollars to repair roads and bridges in rural and remote communities — all areas the NDP wanted addressed. However, NDP Leader Andrea Horwath says she's not going to give an immediate thumbs-up or thumbs-down on the budget, and wants to consult voters on whether or not she should keep propping up the minority government. "We're going to take our time and we're going to be very thoughtful about this," said Horwath. Progressive Conservative Leader Tim Hudak vowed to vote against the budget without reading it, and says the New Democrats should support the Opposition's non-confidence motion in the government. "I think the NDP have to ask themselves, do they really believe in keeping a government going that has crossed the line towards corruption," asked Hudak. The PC's filed the non-confidence motion over the cancelled gas plants in Oakville and Mississauga, and said they didn't want to wait for the budget votes, which are automatically matters of confidence.